The Vista Hills Chorus invites women of all ages who enjoy singing to join this long-established musical group. Come sing with us! ​We meet every Tuesday evening at 7:00 p.m. at the Church of Christ building located at 926 Second Street in Encinitas. 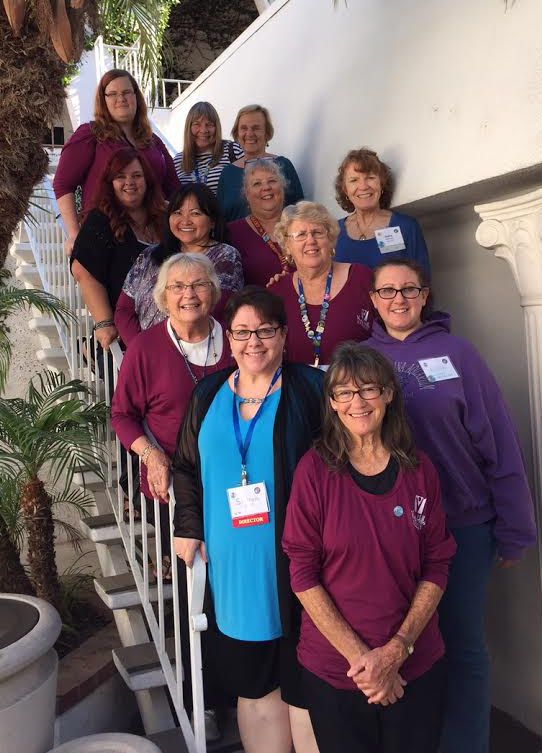 It is important to note that though we meet in a church, we are not a church choir; we are a local chapter of Sweet Adelines International, a womens' a capella singing organization. - Call and leave a message at (619) 508-2480 (Gloria) or (858) 213-5352 (Debra). - ​Find us on Facebook, Instagram, and Twitter. Sweet Adelines: Sweet Adelines International is a worldwide organization of women singers. Barbershop Harmony for Men: The Barbershop Harmony Society is the male counterpart to Sweet Adelines International. Vista Hills Chorus is a 501(c)3 non-profit organization, and your generous tax-deductible donation will help us grow to reach more women and young ladies who are looking for a fun, educational experience! Information Line: (619) 508-2480 (Gloria) or (858) 213-5352 (Debra).